This green design features a block light green background and a two-tone darker green Chippendale China damask print that is repeated across the paper for a bold pattern that is softened through the 100/3013 green colourway. 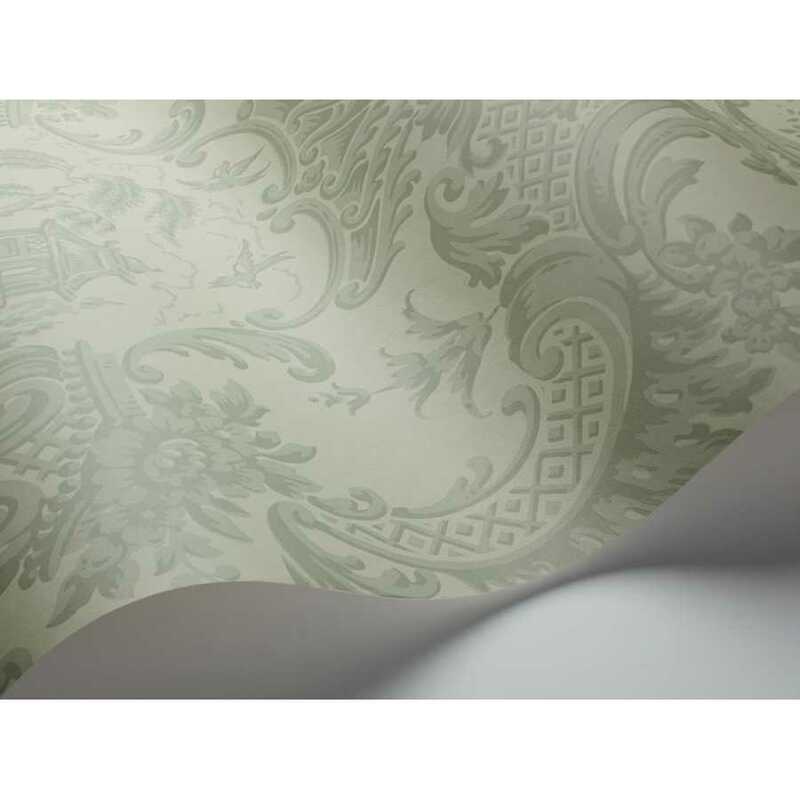 This muted green wallpaper design is the perfect luxury wallpaper design for any interior design colour scheme and space and it measures at 52cm width and 10 meters length per roll with a repeat of 52cm. The use of a singular colour but a variety of shades has resulted in an elegant design that mimics a scrollwork piece. The six colourways range from quiet and calm creams to bold and a bold and rich red colourway. 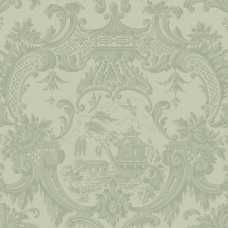 Available in a variety of six unique one colour, numerous tones colourways, the Chippendale China print by esteemed British wallpaper brand Cole and Son is based on a classic damask print that has an oriental style that became popular in Victorian Britain in the early twentieth century. 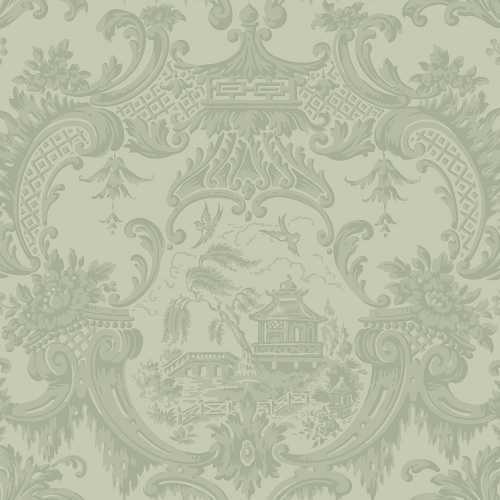 The Cole and Son Archive Anthology Chippendale China 100/3013 is the only green shade of the six colourways.